Summer is already here, we have it around the corner, after such a strange spring it seems that the hot summer will come in without fuss, suddenly. It's time to enjoy the open air of the beach, the terraces, the parks, the mountains, the time of sweat, of ice creams and of taking off clothes and of our skin being more exposed than ever in the year to the harmful ultraviolet rays. Whether on the beach, on a hiking trail or in a park in full sun, our skin and our eyes are exposed to a light too intense that can cause irritation, itching, burns and even cancer is why it is very important to protect yourself properly and that's why we give you a couple of tips, the most important ones, to avoid and prevent problems in the skin and eyes caused by the sun. Avoid the midday sun, at midday the sun is higher and when the radiation is more intense, if you are on the beach at noon it is much healthier to stay in the shade at that time of day. Measure the exposure time, control the time we spend with our skin exposed to sunlight to avoid burns. The eyes also need protection against solar radiation, the sun's rays can cause lesions in our cornea and in the retina that can even become irreversible, that is why it is very important to protect our eyes and our vision with approved sunglasses with quality lenses . Recognize sunglasses of quality by the CE marking based on the specifications regarding the transmittance of the lenses and the category of the UV filter in addition to the degree of protection and other factors such as polarization is essential. The transmittance of the lenses is the amount of light that a lens passes through, the more transmittance the lens will be and the more light will pass through them. A transmittance of 14% is suitable for everyday environments, choosing lower transmittances for environments where light intensifies such as sailing in the sea or in snow environments. Normally the transmittance is categorized on a scale of 1 to 4 with category 1 being the highest transmittance and category 4 being the lowest transmittance. 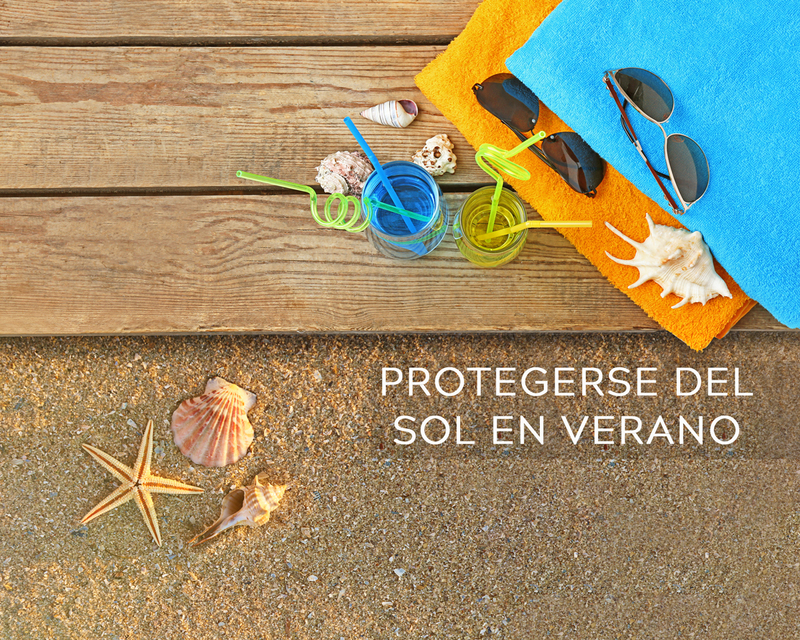 The degree of protection is the filter that guarantees that the UVA rays will not reach our cornea and our retina. A protection with UV400 filter guarantees the filtering of 98% of the ultraviolet rays. Polarization is an additional filter that recovers brightness and reflections, polarized sunglasses are suitable and convenient for driving, for the beach or in general for any environment with many reflections, however you should bear in mind that polarization makes it difficult to see Some electronic screens like those of some disponitov and mobile phones. We hope you enjoy this summer.